The Wildwood trail is the back bone to Forest Park and connects it to Washington Park. One hundred and twenty blue diamonds mark every quarter mile of the 30.2 miles from the Oregon Zoo to NW Newberry Rd. 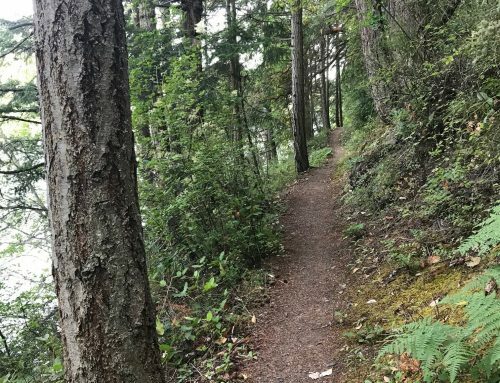 The trail parallels Leif Erickson Dr from mile marker 8 to mile marker 24.5, with many connector trails between the two to basically make any distance route needed. 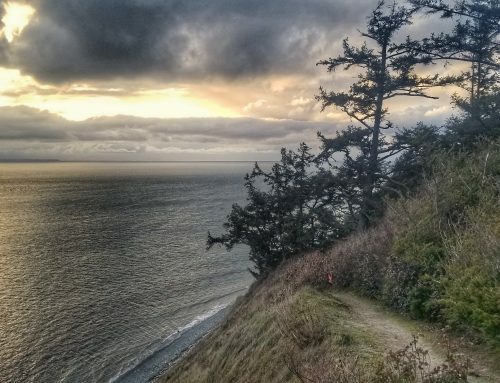 For ultra-marathon trail runners, running the whole Wildwood trail, known as E2E, is the ultimate Forest Park adventure. 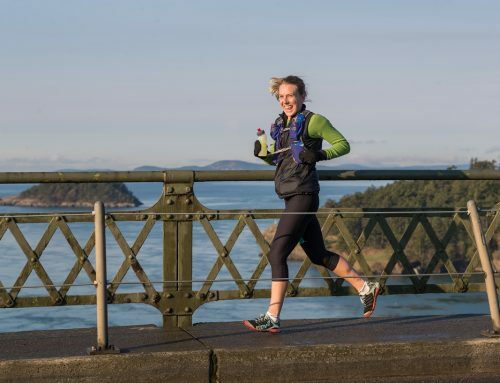 The run has around 3300 of vertical feet, with a big chunk of the climbing up the Pittock Mansion between mile markers 3.25 and 4 from the South and mile 5.5 to 4 from the North. 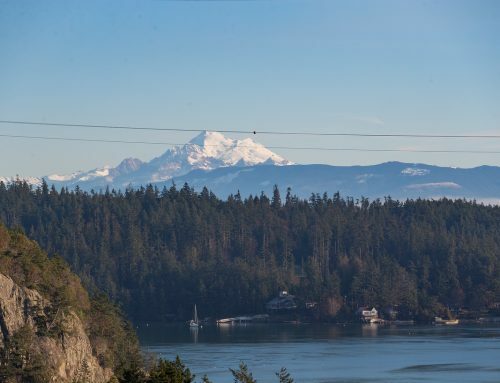 For those looking for even a bigger challenge, running North to South leaves the longer Pittock climb at the end. Map courtesy of Wonderland Mapping. Order one today! 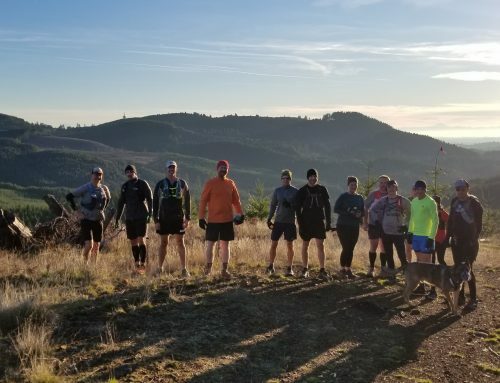 It’s best when running with a partner to meet at the parking lot near the Veteran’s Memorial (this is a pay parking lot) where one leaves the car in the lot while the other party drives to Newberry Road via Skyline Boulevard. Newberry Road is currently closed south of the Wildwood trail, so the only access is from Skyline. For solo efforts, park at the zoo and use a share ride app to Newberry. The cost is around $25. Runners need to be self-supported to complete the effort. The only bathrooms and water are down the parking lot near the Pittock Mansion. There is a porta-potty at Upper MacLeay park at mile marker five and at the Archery range near mile one. 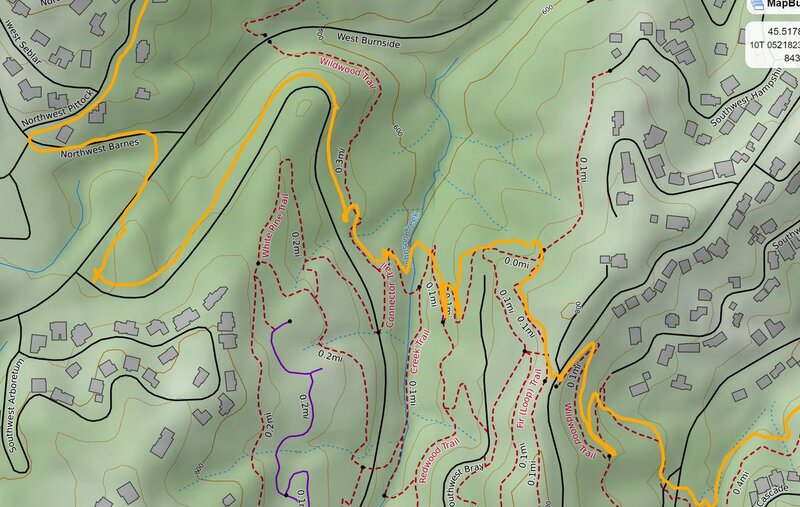 To stash water and food, the closest road to the trail is on NW 53rd Dr. around mile marker 9-1/4. This is a popular trail entrance, so be prepared if someone dumps it in the garbage can. Please note that the section of Wildwood Trail is currently closed on the South side of the parking lot at Pittiock Mansion, so runners must run through the parking lot and to/from NW Pittock Dr. continue on the trail. Check out the Moe Codino: The Original Dirt Churner video to get a visual of the trek. Moe also gives his insight on points to look for when running the full E2E. Pete Carleson broke down the mileages to the crossing trails along the Wildwood trail with this chart. 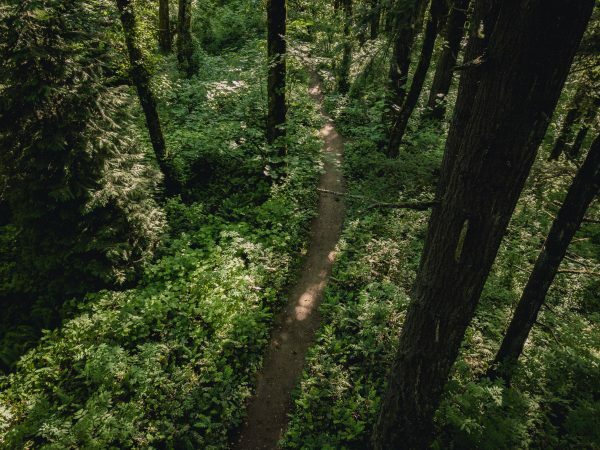 Be aware of what trail runners call the Forest Park tree tax. GPS watches do not track well in Forest Park due to the large evergreen trees. Runners will typically lose 10% of the mileage on Wildwood trail and other trails in Forest Park. According to fastestknowntime.com, the fastest E2E for men is Andrew Lemoncello at 3:12:28 and Rachel Drake has the women’s time at 3:52:11.